Anyone that has trees in their yard knows the challenges of dealing with leaves and branches in the spring and fall. Instead of burning all your waste, save some time and money and create your own mulch for your garden and flower beds. 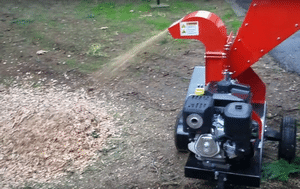 A chipper can be a handy tool for yard work that will even let you make your own compost. Here are a few tips on what to look for in the best wood chipper and a few reviews to help you start shopping. 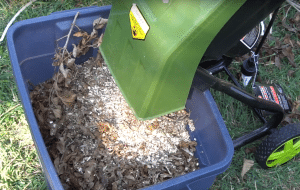 If you reduce, recycle, and reuse, the Sun Joe Chipper/Shredder let you chop up the debris in your yard and create garden mulch quickly and easily. This nutrient-rich mulch is made with an electric wood chipper and shredder that has a strong 15-amp motor with 4,300 rpm. It can make fast work of branches, leaves, and brush that is filling up your lawn. The Sun Joe Chipper/Shredder was created for light-duty projects and can effectively shred and chip wooden limbs and sticks that are up to 1 ½ inches thick. This powerful and compact machine will reduce the waste in your yard to 1/17th of its initial size. You can use the wood chips produced for mulch in your garden, plus it comes with six-inch wheels making it easy to move. Ready to go when you are, the Sun Joe Chipper/Shredder will instantly start to chip after you plug it in, plus you don’t have the fumes, smoke, expensive tune-ups and unpredictable starts that you get with a gas-powered tool. It also comes with a safety stop which will engage automatically when you open the hopper. This is an ETL-approved machine that comes with a 2-year warranty. This is a good product for those with a small to medium sized yard that won’t have large branches to cut up. This is an easy to use tool that is great for those that use mulch in their yards and don’t want to deal with a large, cumbersome machine. 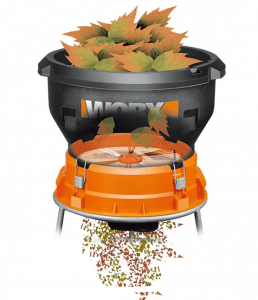 An all-in-one solution to the annual piles of leaves in your yard, the WORX WG430 Leaf Mulcher will dispose of these leaves and other yard waste in a few smart and simple steps. You can quickly turn hundreds of gallons of leaves into organic mulch that is a vitamin-rich fertilizer perfect for your garden or flowerbed. With a bladeless mulching system, the WORX Flex-a-Line uses a typical grass trimmer line instead of metal blades that will safely and easily mulch through debris and leaves. 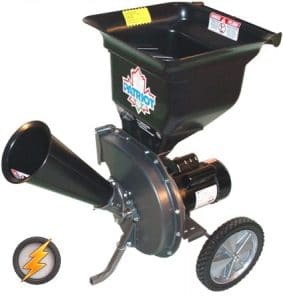 Instead of disturbing the environment with a lot of noise and noxious odors like a regular gas mulcher and shredder, the electric WORX Leaf Mulcher features a powerful 13 Amp motor that gives you 8,500 RPMs. Reducing piles of twigs and dead leaves to 1/11th of its original size, you won’t have to worry about carrying bags to the curb, plus you can mulch up to 53 gallons of leaves per minute. You can literally collect and pulverize acres of leaves into a manageable mound of mulch in very little time at all. Mixing mulch into your flower beds and garden allow you to encourage new growth by aerating the soil, leaf mulch also helps to increase your soil’s water retention saving you money and reducing the amount of time you spend watering. This versatile and compact mulcher and shredder weighs less than twenty pounds with its small size and you can assemble and disassemble quickly it for easy cleanup and storage. This convenient mulcher includes a motor cooling system that reduces dust by separating mulched leaves and air through an outside air intake and exhaust that reduces the amount of dust generated keeping the air cleaner. It also comes with an oversized on and off switch that gives you hassle-free operations. 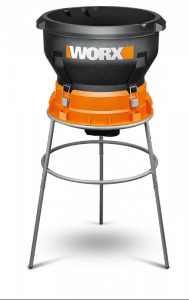 Plus, the Worx Electric Mulcher and Shredder has a cutting line replacement that is tool-less, and it comes with a universal bag holder that uses either plastic or paper bags. This is the perfect tool for users with large yards that basically needs a workhorse to turn a ton of yard waste into usable mulch or compost. Convenient to use and powerful, the Worx Leaf Mulcher can plow through mounds of yard waste in no time at all. When you have a ton of branches and fallen leaves in your yard, you want a tool that easily helps you manage that mulch and debris. Featuring a 15-amp motor, the Earthwise Electric Garden Chipper/Shredder comes with a 1.2-bushel collection bin and a metal impeller making clean up quick and easy. 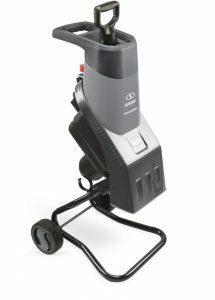 Without gas and oil, the Earthwise Electric Garden Chipper and Shredder doesn’t emit fumes making it a clean air choice. The Earthwise Chipper/Shredder is the perfect solution to get rid of the leaf and stick collection that you accumulate in your hard. It has a maximum cutting diameter of 1 ¾ inches and generates a 4500 rpm idle speed. This is an easy to transport tool that comes with large back wheels and has a lightweight design letting you easily move it anywhere in your yard. Safety features include overload protection with a reset button and a leaf chute with a tamper tool that lets you keep your hands safe and free. 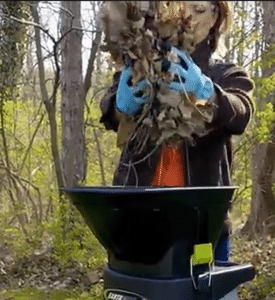 The Earthwise Electric Garden Chipper/Shredder is perfect for composting and quickly shredding stick into fresh mulch for your flowerbeds and garden. Powerful and compact, this is a good machine for those with a medium sized yard that also want something eco-friendly. With its included safety features, this is a good machine for those that want a quick and easy solution to their yard debris that turns it into usable mulch and compost. The Farmer Helper Wood Chipper features a design that lowers the total weight of the chipper so it can be used with smaller tractors. This chipper is best suited to work with tractors between 16 and 25 horsepower. It also features easy access from the top that lets you do simple blade changes and fast plug clean outs. With an angled hopper, the Farmer Helper uses gravity to help move the material into the unique blade design of the flywheel that will pull and pinch material in. it also has a footprint with a new frame design that reduces the total weight that allows it to maintain its structural strength. The Farmer Helper Wood Chipper has a hopper opening of 20 inches by 20 inches with a maximum capacity of four-inch diameter. 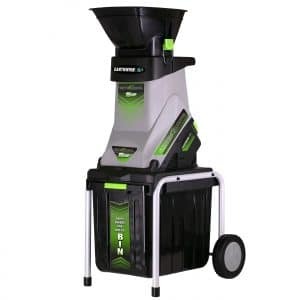 Other features include a discharge funnel that is adjustable in height and direction and air intake vents located on the chipper’s sides to maximize the airflow of the exhaust. A good farm wood chipper that works well with smaller sized tractors. This is a different type of wood chipper than you would use in the average yard and is suited for daily use. 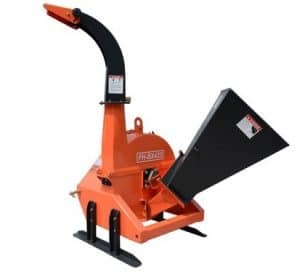 A one of a kind product, the Patriot Products Electric Chipper/Shredder can chop up branches that have a 2 ½ inch diameter and is perfect for shredding leaves. Without needing oil or gas, you simply flip the switch and you can use it inside or outside without any bad fumes. It uses a typical 110-volt outlet and a nice heavy-duty extension cord that can draw 14 amps of electricity. This lightweight chipper weighs under 100 pounds and features large wheels for easy movement around your home and yard. 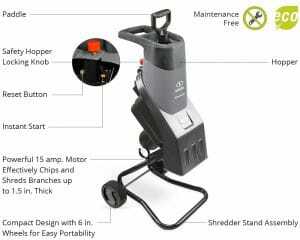 The Patriot Products Electric Wood Chipper gives you an easy and safe way to remove material from your chipper plus it makes quick and easy work of those piles of leaves in your yard. This is a low maintenance chipper with a smooth and quiet motor that starts with a simple flip of the switch. 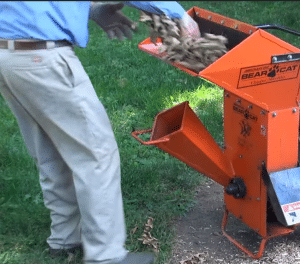 With the Patriot Products Electric Wood Chipper, all the material that is processed comes out of the side of the machine into a collection bag. You don’t even need to bend over the feed leaves into the hopper which can hold twice the amount of the typically sized collection bag letting you shred more before you have to empty the bag. For someone that wants ease of use, this is an easy to assemble, easy to use chipper that requires very little maintenance. This is a good machine for someone with a small to medium yard that can be moved around the yard easily and safely. Each of these tools is different but also similar at the same time. Depending on your yard and your needs, each tool provides different benefits. For example, if you use mulch, wouldn’t it make sense to use a mulcher to turn the branches and leaves in your yard into something you use anyway? Here is a quick breakdown of each of these tools and how they can benefit your yard. The most powerful of the three, a wood chipper can do things the others can’t. A wood chipper can break down any piece of wood once you put it in the chute, although it depends on the model you choose on the branch thickness it can handle. It can’t handle a tree trunk, but it can definitely work for what’s in your backyard. Sharp blades bolted to a disc that rotates breaks down the wood inside the machine expelling wood chips from the other side. Some models feature a bag that catches the chips to stop them from flying around. Another great feature is that a wood chipper can handle both wet and dry branches so you can use it more often than the other machines. You don’t have to pull apart leaves and branches due to the power of the chipper, and it is a great tool to have if you have a lot of trees in your yard. Acting like a little brother to the powerful wood chipper, the wood shredder uses blunt blades to cut wood or they use metal strips with holes in them that turn at high speeds so whatever hits them is thrown into the holes. Another difference is it’s power is considerably less than a chipper so it cannot handle the larger branches a chipper can but it can handle most of the branches that are found in a backyard. Plus, they take these branches and turn them into mulch instead of chips. Wood shredders are also smaller machines that make less noise, and they have the ability to make organic material small enough to use as mulch. If you have fewer trees in your yard, this is a great tool to take on smaller sized branches. Mulchers are designed to deal with a very specific type of garden waste. They can’t chop up wood, but they will cut softer organic materials like twigs and leaves with a piece of nylon string similar to a weed eater. The nylon string is positioned vertically inside the mulcher’s drum and destroys any grass, leaves, and small twigs dropped inside. This is a great tool for those that want to make compost and have a minimal amount of trees. Always make sure to think about your budget first, especially since chippers can get very expensive. There are some models that are very affordable, but if you have a tight budget, you will still be able to find an inexpensive chipper that will suit your needs. Make sure you know what you have to spend before you start shopping and don’t feel like you need to get a machine with tons of features as there are plenty of cheaper chippers that will also work for you. Also, consider what type of branches and leaves you have in your yard and how much power you will need to break down the size branches you have. Plus, if you plan to cut down any trees in the near future, you may want to consider getting a more powerful gas-powered chipper that can handle that. But if you are only chopping up small branches and limbs, a good electric wood chipper should suffice. How often do you be using your chipper? Are you using it for a professional or personal reason? Even though a wood chipper that is designed for professional use will still work fine for personal use, it won’t work the other way around. Also, if you will only be using your chipper occasionally, then a cheaper chipper will be fine. If you use it almost every day, then you will need a more durable and powerful machine and need to expect to pay more money for it. The capacity of a chipper is another important consideration you should have. This will tell you exactly the branch types the chipper will be able to handle, so if you have large branches, you will need a large capacity chipper. Remember that when the capacity gets larger, so will the chipper’s price. Since the knives and blades are the specific things that will chop up wood, make sure that the knives and blades are able to cut the wood that you have in your hard without any problems. It is also a good idea to find out where the blades and knives are in the machine to make sure that they are accessible enough so you can easily replace and remove them without a lot of trouble. You may also want to consider getting blades that are self-sharpening so that they sharpen themselves throughout time lengthening their lifespan and making maintenance simpler. You also want to find a very efficient machine that will reduce your yard waste so you want to look for a machine that has an 8:1 or 10:1 ratio. If you have a 10:1 ratio machine, you should be able to chop up ten bags of branches and leaves into just one bag of chopped up material. With this feature, you will know the amount of mulch you will have when you are done. You will see that most wood chippers include a collection bag. It isn’t a necessity to have this bag since the debris could just blow out onto the ground, but it helps to contain the debris and creates less of a mess. You want a bag that was made from durable and good quality materials that vary in size between two to five bushels. The two-bushel bag is adequate for some users while others will find the five-bushel bag lessens the length of time you need to chop up a single job since you will have to empty it fewer times. However, you will have added weight with the five-bushel bag which may require more effort to move. More than likely you will have to move your chipper or let someone borrow it. Some units can be towed, but if you don’t have one of those, you may need to pick it up to put it in a vehicle. Getting a lightweight machine will make a big difference in portability around your yard or over to a friend’s house. Low maintenance machines are great for those that don’t have a lot of time or are forgetful. Electric models tend to be the easiest to own, but if you do get a gas-powered machine, get one that comes with a low oil sensor shut off. That way when the oil gets low, the machine will turn off automatically to shield the engine. Models that gravity feed are less efficient than auto-feed chippers. Featuring large rollers, twigs, and branches are automatically pulled into the chipper. It gives you a faster shredding process in comparison to a gravity-fed chipper which makes your job easy. This is a feature that is also sometimes seen on small or inexpensive models.. If you are looking for an eco-friendly machine, stay away from gas chippers that produce dangerous emissions. An electric wood chippers work as well as gas-powered wood chippers, so don’t think you are buying a low quality machine just because it is electric. The area of your chipper where limbs, twigs, and branches are loaded into is called the hopper. There is a wide range of sizes and shapes that a hopper can come in and they can be located in different places depending on the machine. Plus, some hopper has a tilt-down operation that lets you drop the hopper down to the ground allowing the user to rake in grass and leaves. This is a great feature for those with a large yard that is covered in grass and leaf debris so all you have to do is rake the grass and leaves right into it instead of putting them all in a pile, picking all the leaves and branches up, and putting them in. This feature also helps give you usable mulch to use in your yard. The engine is not only the main part of the machine that propels the chipper, and it also tells you what the machine’s capabilities are. The more horsepower you have the more power you will have to chop up stronger and larger twigs, limbs, and branches. When you decide on a horsepower for your chipper, you need to consider what you will be using the chipper for. For large yards that have lots of limbs, twigs, and branches, you want a lot of horsepower in your engine so you will have enough torque to chop through all that debris. Plus, you will find that gas-powered chippers can handle sturdier and larger pieces of debris, so keep that in mind when choosing a chipper. The debris you put in your shredder can be very hard on your chipper, so it is important to find a chipper made of very durable materials. Make sure to choose a machine that is made of thick and welded ten to 16-gauge steel. You want to avoid models that are too lightweight and are constructed of sheet metal as they are less likely to last you a long time. The shredding chamber is the place where you put the limbs, twigs, and branches, and they are chopped up into mulch. No matter how reliable or durable your chipper is, you will still experience clogging. You need to clear the clogs out immediately so you can continue to work so it is important to have a machine that gives you easy access to the shredding chamber so you can clear out clogs easily and safely. When choosing a wood chipper, two models that we reviewed really stood out. The Sun Joe Chipper/Shredder and the Worx Electric Leaf Mulcher and Shredder. Both will reduce the leaves and branches in your into mulch quickly and makes quick work of branches and brush littering your yard. The Sun Joe Chipper/Shredder is perfect for light-duty jobs and produces good mulch for your garden. It also is very portable with six-inch wheels and comes with the ease of use that only an electric chipper can give you. The Worx Electric Leaf Mulcher and Shredder is a great all-in-one solution that gets rid of leaves and yard waste in a few quick steps. This small and lightweight machine has the versatility to create mulch and fertilizer that is great for your garden and uses a typical grass trimmer line that safely and easily mulches through debris and leaves. Everyone that has dealt with yard clean will appreciate the time and money you can save with a wood chipper that can make your own mulch for your yard while also allowing you to get rid of your yard debris.